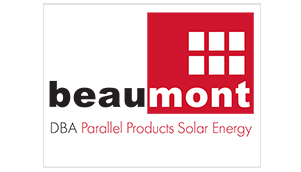 Beaumont Solar implements complete solar renewable energy solutions of all scale across every industry sector by utilizing a variety of project and debt financing models. Our business model offers a range of financing options for commercial solar systems. We arrange for bank financing for direct purchasing, and leasing options with 6-year or 10-year term options. Additionally we structure long-term Power Purchase Agreements (typically 20 years) where customers would purchase the electricity generated by a single rooftop or solar carport system, or those located on multiple properties, at a pre-determined low rate with zero-dollar investment. Structured similarly to our commercial options, our government customers will typically enter into long-term, Power Purchase Agreements for power generated by larger solar energy systems. In addition to achieving mandatory energy regulation requirements, governments can also capitalize on added tax incentives they would not be eligible for through other means. Municipal customers are able to take advantage of power generated by solar energy systems installed on multiple municipally owned buildings and unused land areas increasing the instant savings benefits of purchasing power at a predictable, budgeted rate through a Power Purchase Agreement that requires zero capital investment. As with government customers, these options also allow for municipalities to hedge against highly volatile utility rates with a low-cost solution through capitalizing on tax incentives for which they would otherwise not qualify. In many cases, municipalities can save 40-50% of their power expense over 20 years. Our Power Purchase Agreement options for utility customers are structured similar to our government and municipal financing options. These PPA models provide for selling electricity to the utility at a contracted price over a 20-year term. Utility customers, including certain non-profit utilities, are able to still benefit from tax incentives through this option while meeting generation, transmission and distribution requirements with solar energy for the supply of electricity to end-customers. Beaumont Solar is one of the most highly recognized and respected, full-service solar renewable energy companies in the industry. Let our financial analyst team guide you through the process to a stronger bottom line.